Resident BJJ Black Belt Instructor- Stephen Kamphuis trained and received his Black belt from Anthony Lange and John Will, (Will-Machado Australia 2004) and seventh Degree Red and Black Belt Master Fabricio Martins of Equipe Fabricio of Brazil also in 2004, thus giving him the rare distinction of being one of a select few non Brazilians to earn a Black belt and his degrees in Brazil and hold both a Judo and BJJ Black Belt. He received his first degree black belt in 2007 from Master Fabricio after winning the International Masters Seniors in Brazil and in 2010 received his second degree after winning the Both his Division and the Absolute open weight division also in Brazil in September 2012 he was awarded his Black Belt third degree. 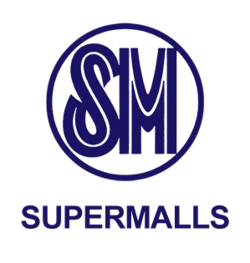 Before coming to the Philippines Stephen was the first person from New Zealand and Australia to hold Black Belts in both Judo and BJJ granted by the respective International Federations ( International Judo Federation and the International Jiu Jitsu Federation ). He has also refereed at both the World and the Pan Ams ,the first non Braziilian in the Asia Pacific region to achieve this honor. Stephen started training Judo at the age of 14 while growing up in New Zealand under Coach Ivan Willis (Olympic Judo Referee) receiving his Black belt in Judo just as he turned 20. He competed for New Zealand on several occasions, the first being as a 14 year old in New Caledonia and in Hawaii at the Pacific Rim. Once he moved to Australia he continued training on a semi regular basis in both Judo and Boxing, and tried other martial Arts such as Hapkido. His continued interest in Martial Arts lead to the discovery of BJJ , he immediately found a real passion for the technical, mental and physical skills that come from training BJJ. His BJJ instructor in Australia was Anthony Lange of Lange Martial Arts one of the foremost BJJ instructors in the country, it was at Anthony's school where Stephen not only received high level instruction, but had many great training partners including UFC fighters Anthony Perosh and Elvis Sinosic who now own and operate SPMA in Australia. (see links). 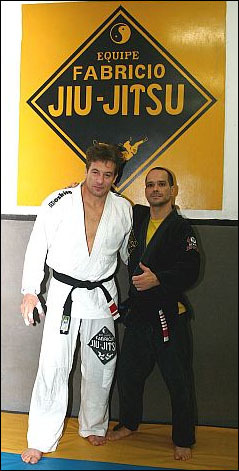 While in Australia Stephen formed a close friendship with Brazilian training partner and Instructor Raphael Costello a student of Master Fabrico. 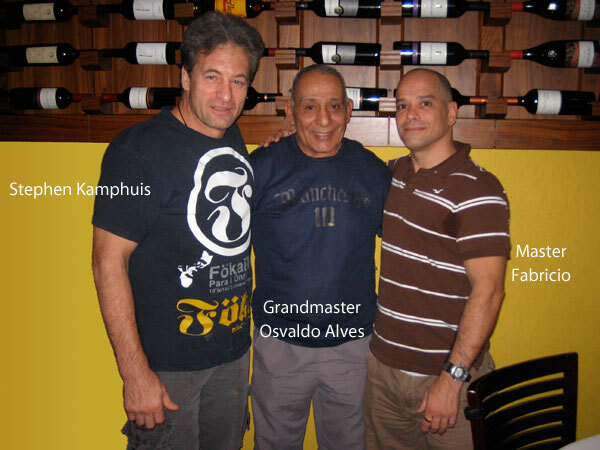 In 2003 Anthony Lange and Stephen decided to compete and train with Master Fabricio in Brazil where they both won Gold medals at the World Masters in their respective divisions. 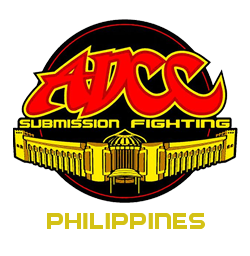 Stephen continued to visit Brazil competing seven times in the World Masters winning 6 Open Weight Championships as a Black belt. With the endorsement from Anthony Lange in 2006 Stephen was invited to head the Fabricio team in Asia the first team outside of Brazil. 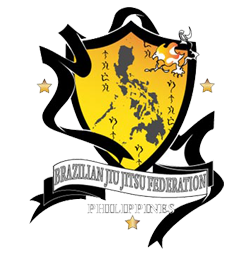 "It is an honor for myself and my students to have our school directly affiliated to Master Fabricio's academy in Brazil, we endeavor to be worthy to carry the team name." Coach Stephen has competed in most of the Worlds prestigious Brazilian Jiu Jitsu competitions held in the US, Japan, Brazil, Taiwan, and Australia as well as competing in Judo representing New Zealand as both a Junior and Senior New Zealand Judo representitive. He is one of only a handful of competitors to win the World Masters Open weight division in both Gi and No Gi (2013 , 2014 , 2015). 2 x Grand Slam Champion - 4 Golds in Worlds Gi and No Gi in one year. Our Goal is too see our students enjoy the sport of Brazilian Jiu Jitsu / Judo with the opportunity to fulfill their potential improve their overall fitness ,health and lifestyle.
" I see BJJ as more than just a sport or martial art it becomes a lifestyle as students become aware of ways to improve themselves and their physical well being ". In line with the concept of healthy living Stephen has completed a Certificate course in Advanced Nutrition from the Australasian College of Natural Therapies. I would like to thank my Instructors Ivan Willis ( Judo ) and Master Fabricio and Anthony Lange (BJJ) for the honor of being their student and to all my training partners past and present including my students and friend John Baylon for being a part of my journey..